Madison is a stay-at-home mom and a freelance writer. She received her B.A. in English from BYU-Idaho and she enjoys crafting and baking. Polymer clay in the colors you are going to use. 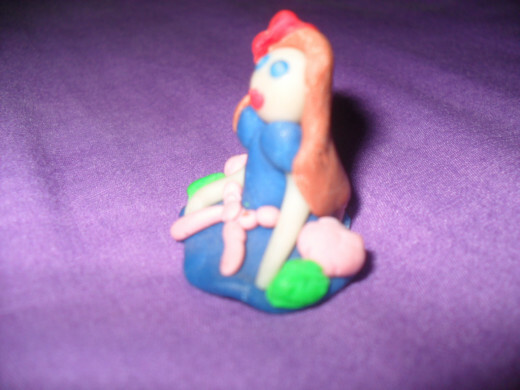 (For these 2 figurines I used: blue, peach, light brown, pink, red, and light blue) You can create some of these colors by mixing the clay. 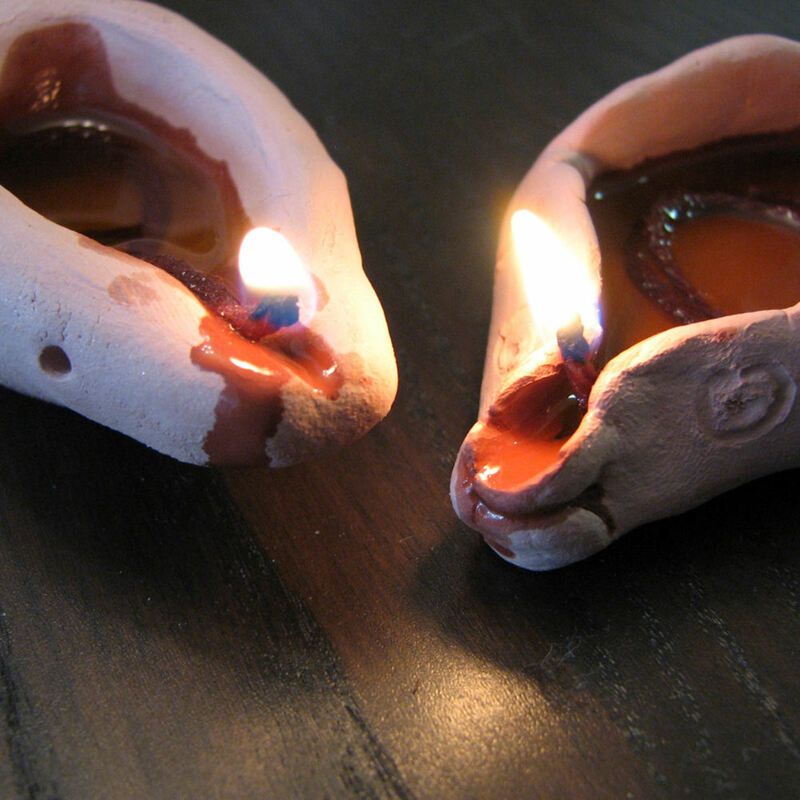 Create pink using red and white clay; create light blue by mixing blue and white clay, etc. 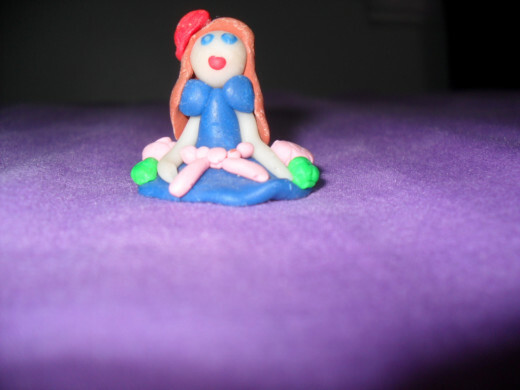 I love messing around and having fun with sculpting clay I love finding out what I can make. 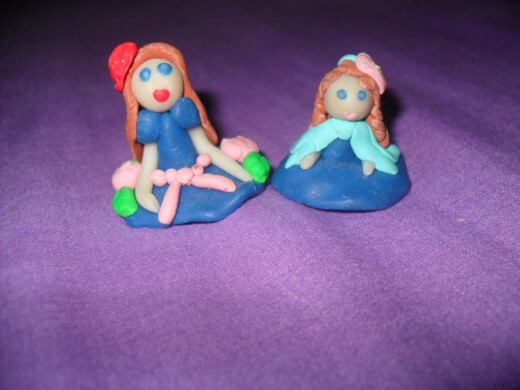 I was first introduced to clay figurine molding/sculpting/baking by my cousins, who were already seasoned professionals. 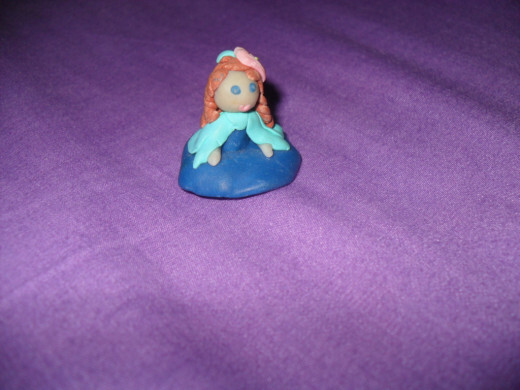 My sisters and I came to their house and we watched, fascinated, as they turned blobs of clay into cute little figurines with dresses, mermaid tails, curly hair, and fairy wings. 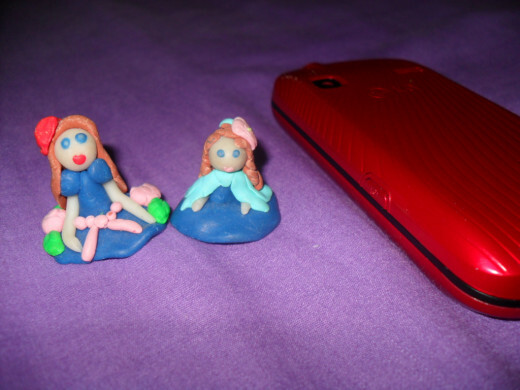 My sisters and I jumped in right away and we learned pretty quickly that no matter what you do your clay figurines are not going to look exactly the same as someone else’s, but that is OK because we learned to love our own creations. Your clay figurines will be as unique as yourself, don’t try to create something that looks JUST LIKE something you saw in a professional picture (I do not claim to be a professional by the way, this is just something I love to do) start with a picture as a model or an example then make it your own. When it comes to what kind you should get, maybe do some research before you buy. 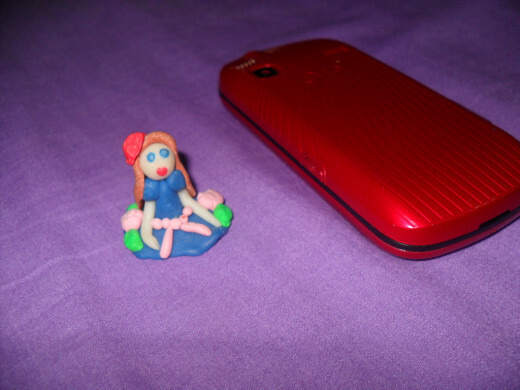 I prefer using Polymer clay for my figurines. 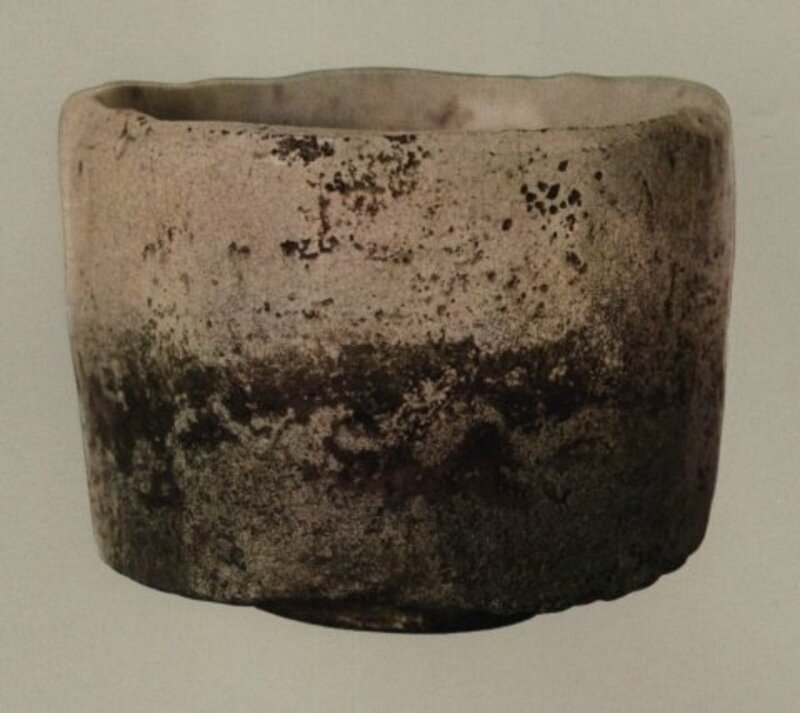 This material is used for pottery and stoneware, and is worked by hand and on a potter’s wheel. Gives you a lot of working/sculpting time because it does not dry out. Very versatile. Gives you a wide range of colors to work with. 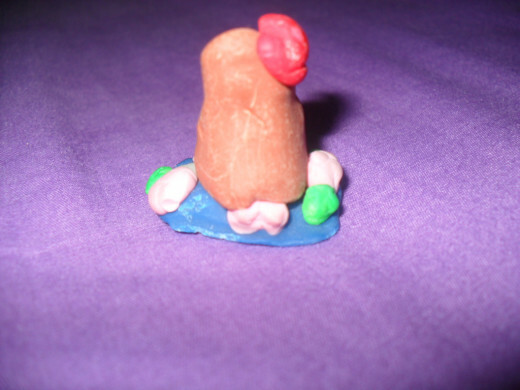 Very easy and fun to sculpt small figurines with. Dough clay is meant to be used and reused,not set and baked. This is meant to be air dried then baked. Lots of time to work with. Perfect for mini sculpting jobs. Great for created bigger, professional clay jobs. 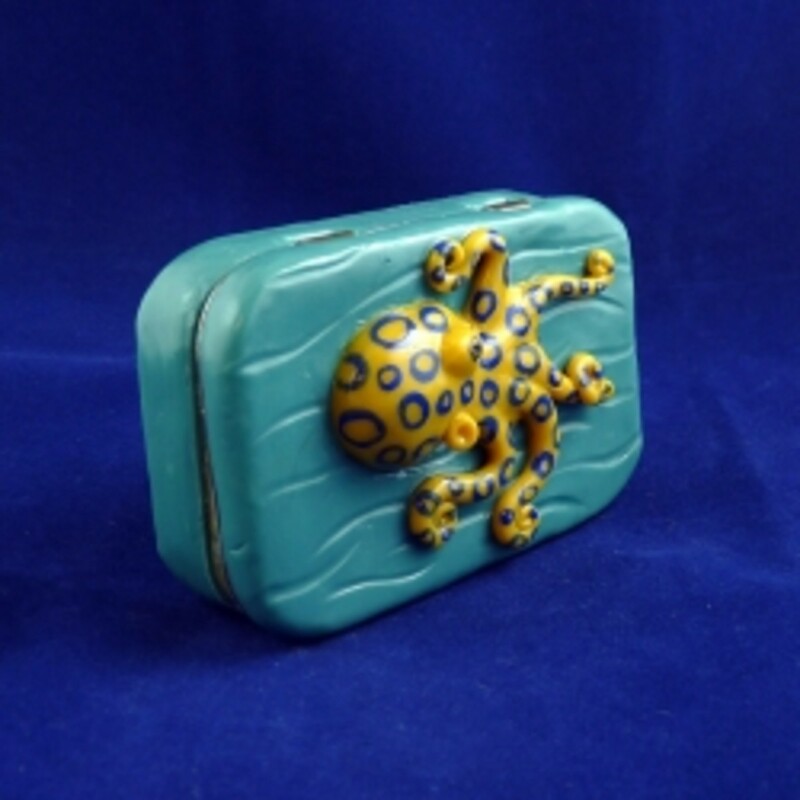 Have you ever Molded/Played with Polymer Clay before? This may be different for you, but I find that making the heads of my figurines first, then making a body to match the size of the head works best for me. I have tried making the body first but I can never make the head in proportion with the body once I have done that, it always ends up way too big or way too small. Make your first figurines head by taking a small piece of your peach/skin color clay and rolling it into a ball. 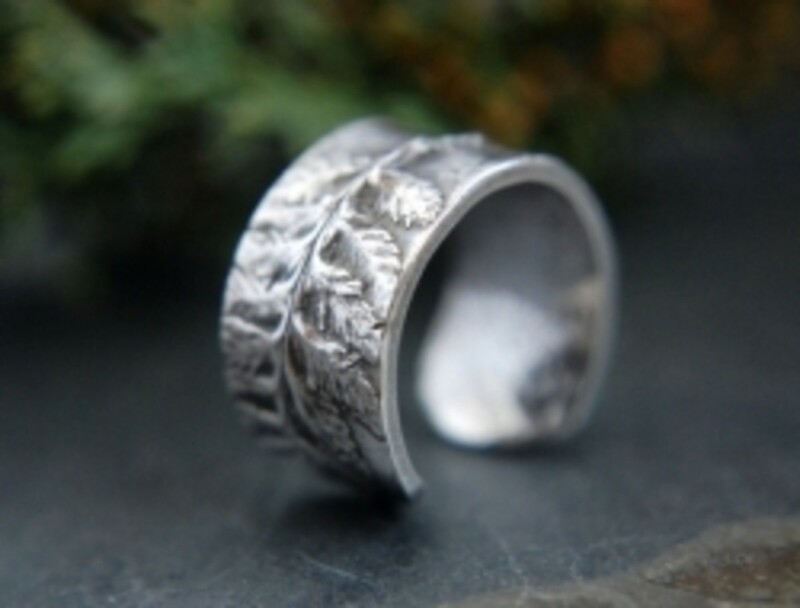 You can use your fingers to mold it into the shape you want if you don’t want a perfect circle/ball. Take a piece of your blue clay and using your fingers and your placemat/palms roll is out into a cone-like shape. Now take the thickest part of the cone and start flattening it out all around (while keeping the pointy end) to create her dress/skirt. You can flatten it to your mat completely or try to give it some umph and only make the edges touch the mat. 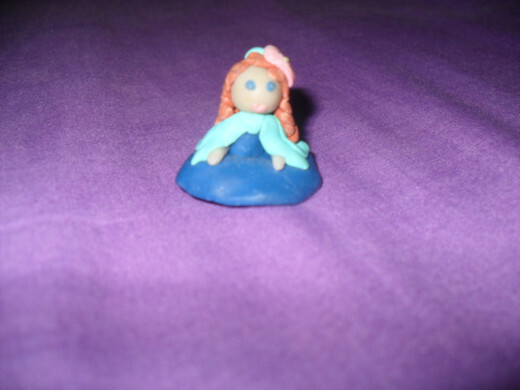 Adding faces to your clay people is probably the hardest part of the whole process because they are soooo small! If you are determined to give those faces then here is how you do it. Take two tiny pieces of clay (the color you would like the eyes to be) roll them into little balls and keep cutting off a bit at a time to make them smaller. This is when a needle or a really small sculpting tool would come in handy, place the tiny ball of clay at the end of your needle/tool and carefully apply the dots to her face where you would like her eyes to be. You can make them more detailed by adding another color that is even smaller to the inside of the eyes. For the lips you can take some red clay and do your best to make a teeny tiny heart shape and apply it to her face, I found the heart shape to work the best for lips. Simply take to equal pieces of your peach or skin color and roll them out till they are thin enough to be your figurine’s arms. I placed my girl’s arms on the sides of her dress to give her a casual/calm look. To make my figurine’s hair I usually start with two circles of whatever color I am going to use (light brown in this case) I flatten them out then connect them at the edges and use my fingers to work the clay together so you can’t see a seam. The top part of the first circle goes around the head and I left a thick part on the top of mine to make it look like she sort of had bangs. Once you mold the hair around her head/shoulders/back you are good to go. 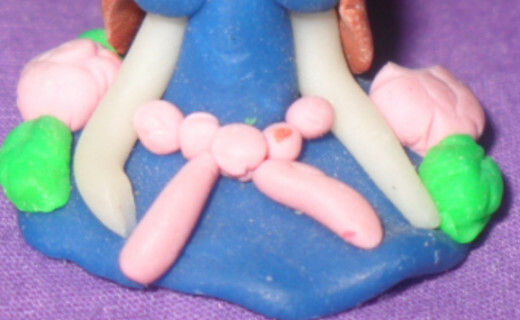 As you can see in the close up picture I added some accessories to this figurine: sleeves, flowers, belt/ribbon. 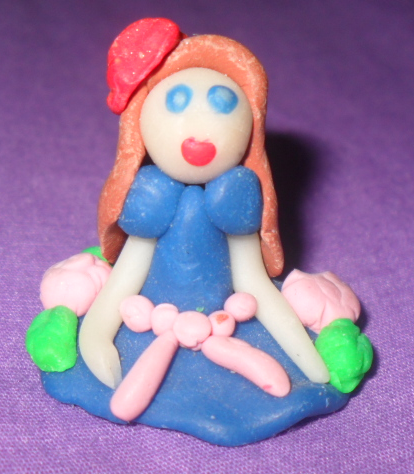 I made the flowers I placed on her dress and in her hair using a small clay flower mold and I made the sleeves by simply attaching to small balls of blue onto her the tops of her arms/shoulders. I made the belt/bow using light pink clay and rolling it into four tiny balls and attaching them like a belt around her waist then rolling out two pieces and two balls for the bow in front. 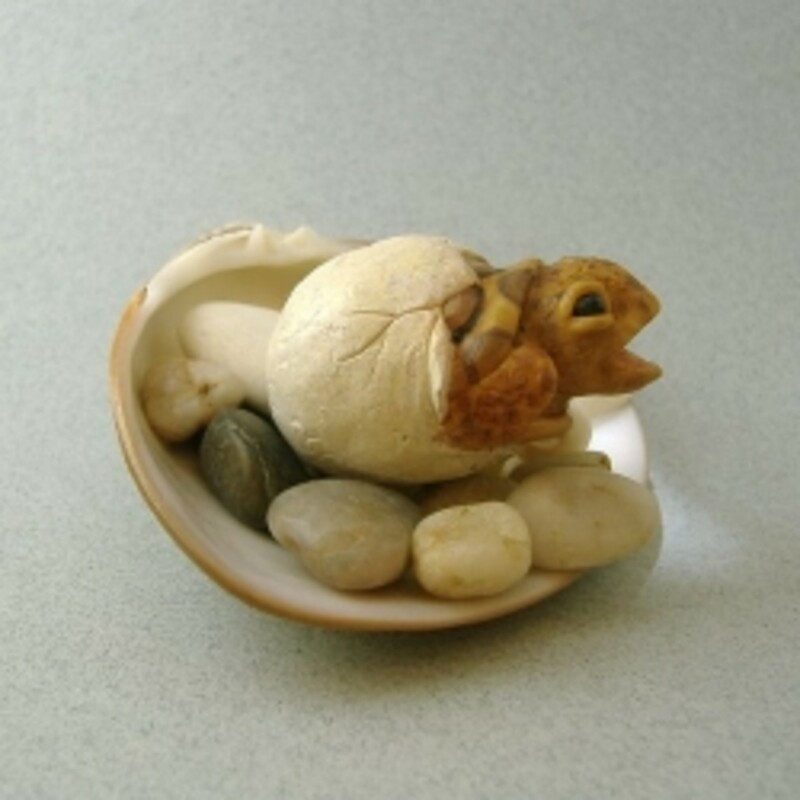 Make your second figurines’ head by taking a small piece of your peach/skin color clay and rolling it into a ball. 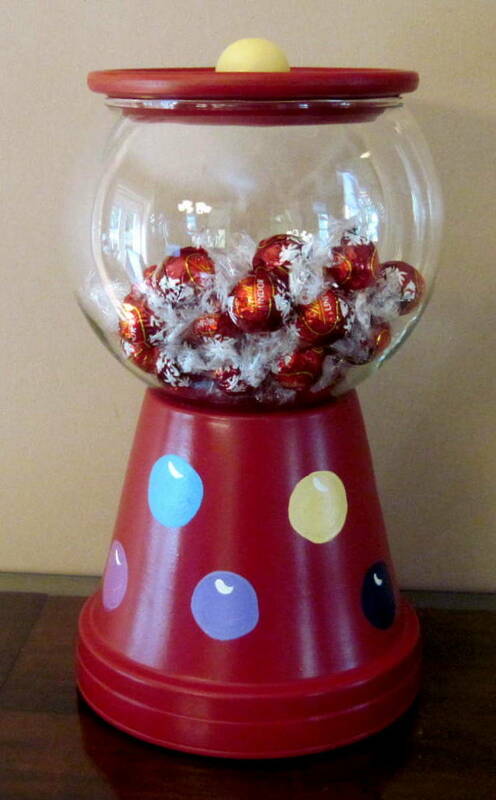 You can use your fingers to mold it into the shape you want if you don’t want a perfect circle/ball. Take two tiny pieces of clay (the color you would like the eyes to be) roll them into little balls and keep cutting off a bit at a time to make them smaller. This is when a needle or a really small sculpting tool would come in handy, place the tiny ball of clay at the end of your needle/tool and carefully apply the dots to her face where you would like her eyes to be. You can make them more detailed by adding another color that is even smaller to the inside of the eyes. For the lips you can take some pink clay and do your best to make a teeny tiny heart shape and apply it to her face, I found the heart shape to work the best for lips. Simply take to equal pieces of your peach or skin color and roll them out till they are thin enough to be your figurine’s arms. You can only see the bottoms/hands of this figurine's arms because I added a cape; I placed her arms so that it looked a little like she was picking up her skirt. You need to add the cape before you add her hair because her hair drapes over the cape. 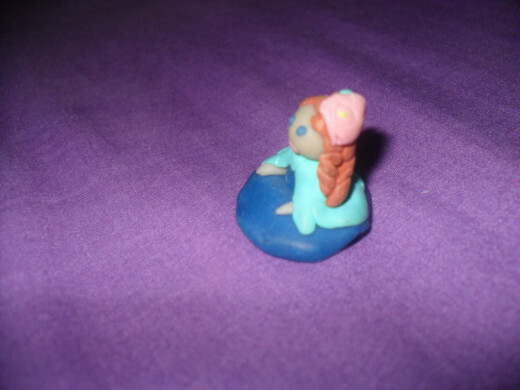 Simply take a piece of light blue clay, roll it out, flatten it out and place it around her back and shoulders. 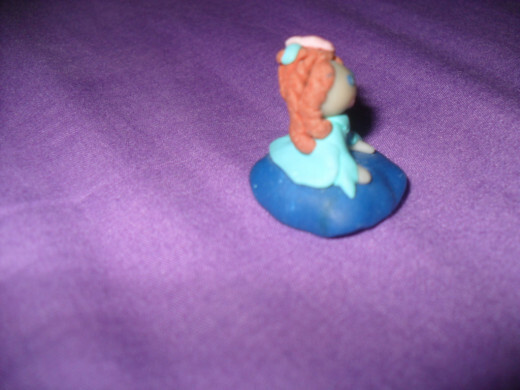 To make this figurine’s hair I took small pieces of light brown clay, rolled them out into little snake like pieces then flattened them out then took each end of a piece of the clay and twisted to make curly pieces of hair. I did this a couple times then attached each piece of hair to her head. 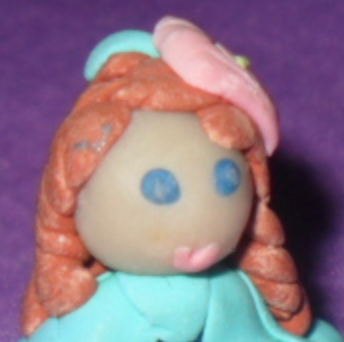 I also added a little e piece of light blue clay to make it look like she had some of her hair in a ponytail. 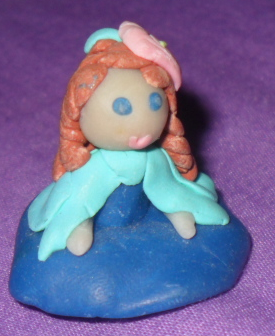 As you can see in the close up picture I added a flower to this figurine’s hair. 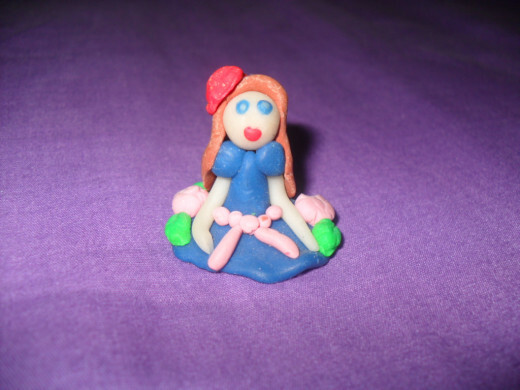 I made the flower in her hair using a small clay flower mold with light pink clay. Now that you have molded your figurines it is time to bake them to perfection. 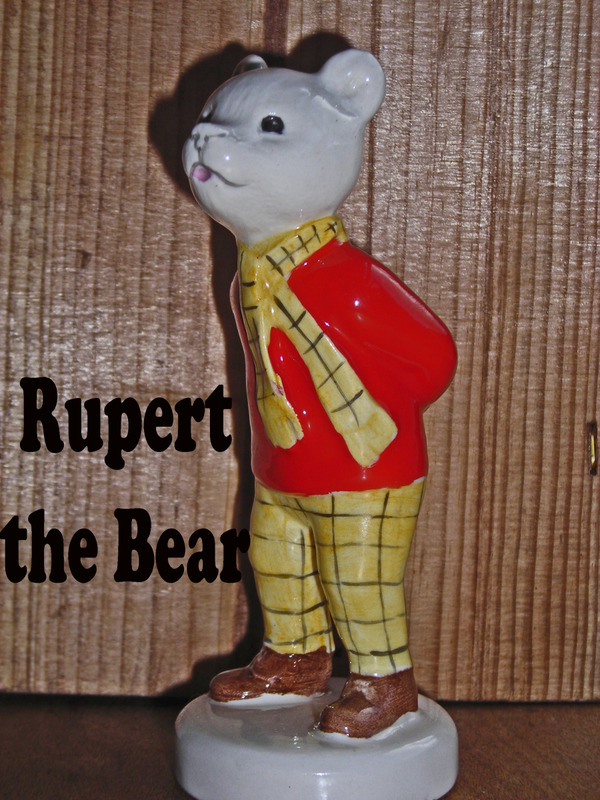 Bake your figurines in an oven at 265°–275°F (129°–135°C) for 8-15 minutes. Each clay figurine will have a different baking time depending on how big it is so you should keep a close eye on your creations. 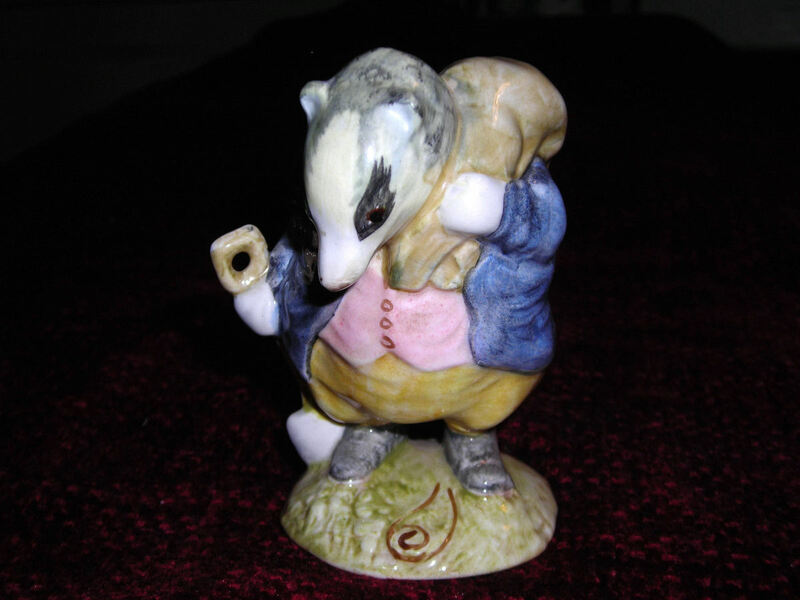 Now that you know how to sculpt a clay figurine it’s time to experiment on your own! Don't worry about messing up, have fun, get creative, and see what happens!